Laurie Bush is a highly skilled corporate attorney with significant contract drafting and negotiating, corporate and practical business experience with Fortune 100 and Fortune 500 companies and with international and national law firms. She has demonstrated expertise in project management and wide range of corporate skills, including real estate, corporate governance, due diligence and commercial transactions. 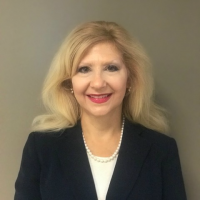 Prior to joining Keevican Weiss & Bauerle LLC in 2018, Laurie was an attorney for ReedSmith, US Steel Corporation, and Mylan Inc..
Research and address real estate and many other issues and prepared documents. Drafted and negotiated contracts on behalf of Reed Smith for US and EMEA markets.